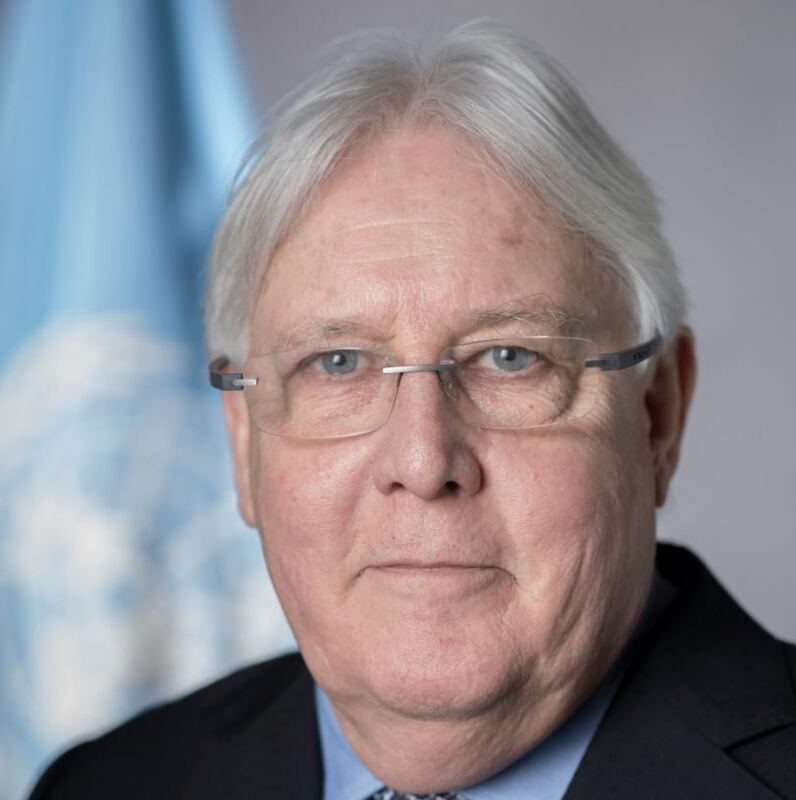 After ten months of discussions since his appointment by the UN Secretary-General as his Special Envoy for Yemen in February 2018 , Martin Griffiths achieved a ceasefire agreement following a week of consultations in Sweden during December. “After two and half years of missed opportunities, it is fair to say that the political process to find a comprehensive solution to the conflict in Yemen has finally resumed,” Griffiths said when addressing the UN Security Council on 14 December . A graduate from the School of Oriental and African Studies at the University of London, and he is a qualified barrister. In 1994, he served in Geneva as the Director of the Department of Humanitarian Affairs, which preceded the establishment of the Office for the Coordination of Humanitarian Affairs. From 1998 to 1999, he served as Deputy to the United Nations Emergency Relief Coordinator in New York. From 1999 to 2010, Mr. Griffiths was the founding Director of the Centre for Humanitarian Dialogue in Geneva, where he specialized in developing political dialogue between Governments and insurgents in a range of countries across Asia, Africa and Europe. Between 2012 and 2014, he has served as an adviser to three Special Envoys of the Secretary‑General for Syria, and Deputy Head of the United Nations Supervision Mission in the Syrian Arab Republic (UNSMIS). He served as the first Executive Director of the European Institute of Peace from 2014. He has also worked in the British diplomatic service and for various international humanitarian organizations, including the United Nations Children’s Fund (UNICEF), Save the Children and Action Aid. He has also served as United Nations Regional Humanitarian Coordinator for the Great Lakes and in the Balkans. What Accounts for his Success? In part it was pressure from the external sponsors of the conflict including the USA and UK following images of starving children in the media. Around 14 million people in Yemen, or half the total population of the country, are facing “pre-famine conditions,” Griffiths told the Security Council. In part it was the involvement of the Yemeni Women’s Technical Advisory Group which held meetings with the two parties as well as members of the diplomatic community and the Foreign Minister of Sweden . The Technical Advisory Group discussed possible ways of bringing the voices of Yemeni women to the peace-making process. The Group has also engaged in presenting strategy papers and proposals that guide the Special Envoy in his mediation role to bring the war to an end. The Yemeni Women’s Technical Advisory Group was formed by the Office of the Special Envoy of the Secretary General for Yemen (OSESGY), in line with the United Nations Security Council Resolutions 1325(2000) and 1820 (2008) as well as the outcomes of the Yemeni National Dialogue Conference, which calls for a 30% quota for women in public positions as well as in negotiations delegations and committees. As well as working on the diplomatic efforts to end the war (which Griffiths calls Track I) he has also been working on peace-building (Track II). “The real work in Yemen starts the day after we reach a political deal. We should all work to prepare for that day,” he said.